Matrix is a home for social scientists on campus. It is a mid-sized, intimate space where we work, and we endeavor to make it a resource for the social science community. Use of the space is prioritized for Matrix activities, activities coming directly out of our programming, and activities organized by our affiliated research centers. 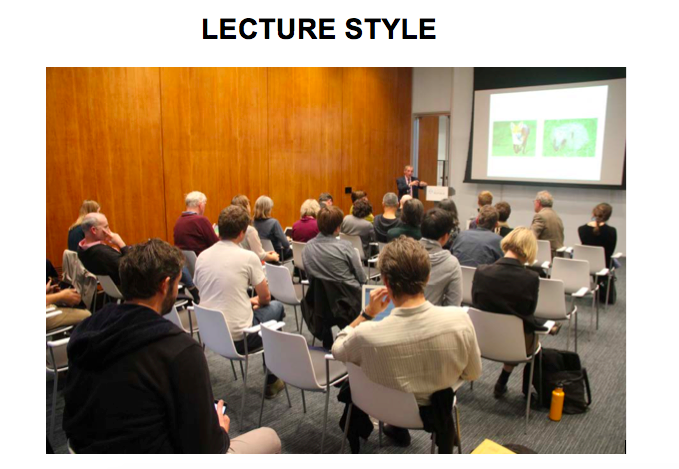 When they are available, Matrix meeting rooms also may be requested by other UC Berkeley organizations for social science-related events such as public lectures, research workshops, and colloquia. We are unable to provide space for classes and administrative meetings. We are also unable to provide event support, as we are not an event rental space or conference facility. If you represent a Matrix Affiliated Research Center, different policies apply. Please select the Affiliated Research Center you are with on the reservation request form and contact Eva Seto for details at evaseto@berkeley.edu. 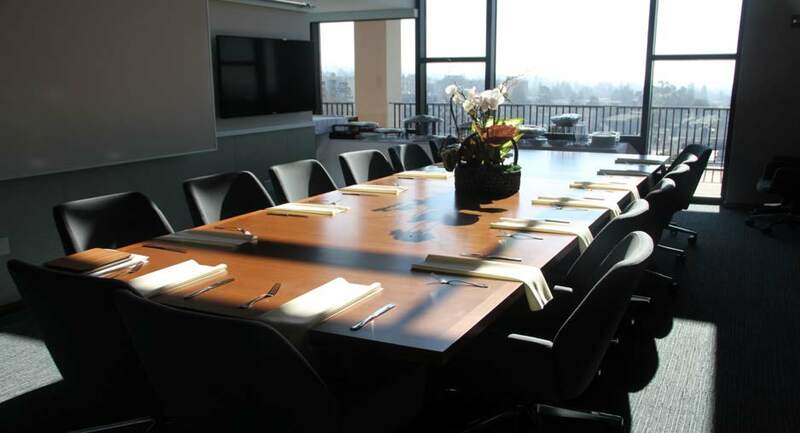 Matrix has two meeting rooms that may be requested, the H. Michael and Jeanne Williams Seminar Room, which seats 16 people, and the Matrix Conference Room, which holds up to 70 in a lecture-style configuration. We are not able to accommodate events that exceed these numbers. Due to fire safety concerns, we cannot admit additional guests once capacity has been reached. 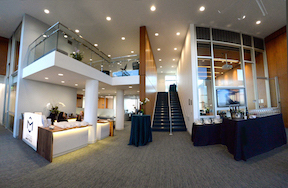 Measuring 22' x 33'—with capacity for up to 70 people—the Matrix Conference Room is our largest space for events, workshops, and other presentations. 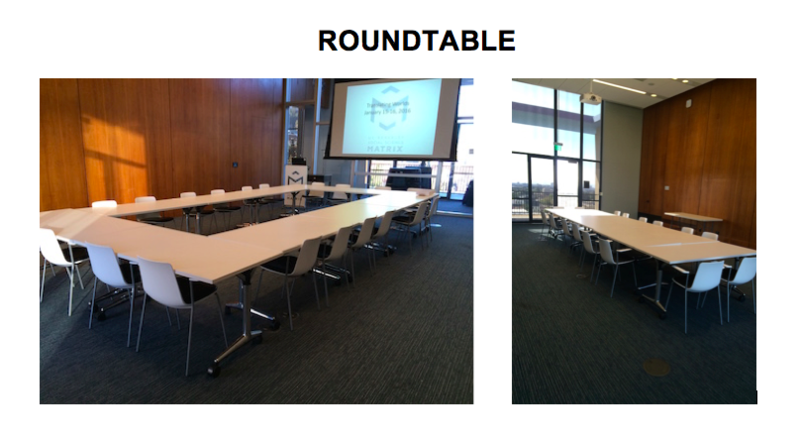 Chairs and tables are available and can be set up in either a roundtable or lecture configuration. Measuring 14’ x 26’, the H. Michael and Jeanne Williams Seminar Room seats up to 16 people. Reservations may be made no more than four months in advance. We can provide space for up to three events a semester per requesting unit. No full-day or multi-day events or conferences may be held. Reservations are available during our business hours: Monday through Friday, 9am to 5pm. Events must be broken down, cleaned up, and rooms cleared of guests by 5pm. Due to our limited staff, we currently are not able to accommodate weekend, evening, or early morning requests. The balcony on the 8th floor does not belong solely to Matrix and is not available for use when requesting space at Matrix. In general, the balcony is locked and alarmed in accordance with public safety concerns. Our upstairs office space is not open for public use. There is a $100 cleaning fee for all users, and a $300 cleaning charge is applied for all events where food and/or drink is served. We do not require a deposit, but all users must provide a chart string on the reservation form, which we will use in case of any damage to the space incurred during the event. Any event that arrives before 9am or stays past 5pm will incur a penalty charge of $500 for any portion of 15 minutes stayed before/after our open business hours (e.g. a group that leaves between 5:01-5:15pm would be charged $500, 5:16pm-5:30pm would be charged $1000, etc.). It is the responsibility of the person organizing the event to take into account time required for set up, clean up, and breakdown for any event held in our space. Each of our meeting rooms has a projector that may be requested on the reservation request form and used at no additional charge. You must provide your own laptop and any necessary adaptors to connect to the projector. Internet access is provided via the usual campus Wi-Fi Services like AirBears2, CalVisitor, and Eduroam. We are not able to provide technical assistance. Please carefully review this instruction sheet if you intend to operate the projectors. If use of an assistive listening system is required, please indicate this on the reservation request form. (Please note that the assistive listening system is only available for the Matrix Conference Room). Instructions on using the assistive listening system can be found here. For technical support, use of microphones, and any related services, please contact Educational Technology Services. Food and drink may be served in the H. Michael and Jeanne Williams Seminar Room and, for groups of fewer than 30 people, in the Matrix Conference Room (roundtable configuration only). The lobby may not be used to serve food or as a location to congregate. Lobby furniture may not be moved. If you are serving food at your event, it is your responsibility to put out garbage cans (available in the copy room) in the reserved room, return them to their original location after the event, and take out the trash to the dumpster on the south side of Barrows Hall. For catered events, you must be present to meet and work with the caterer. There is no kitchen access. If you plan to serve alcoholic beverages, you will require an alcohol permit from UCPD. The completed form should be 1) submitted to Matrix via email to socialsciencematrix@berkeley.edu for approval no less than three weeks before your event; 2) then submitted to UCPD for their approval no less than two weeks before your event and; 3) emailed to Matrix (socialsciencematrix@berkeley.edu) before the event. For more information on alcohol permits and how to request them, please go to the UCPD’s website. Matrix is wheelchair accessible via the east entrance of Barrows Hall and Elevator 2, which goes directly to the 8th floor. Please note that Matrix is not responsible for servicing the elevator, should it not work during an event. If your event is cancelled, please notify us at least 24 hours in advance or a charge will be incurred. Reservation requests must be submitted using our online form. Please do not call or email with these requests. You will receive an email to confirm the status of your reservation request within seven business days. Your reservation is not final until you receive this confirmation. Submit an online reservation request here. Thank you for your interest, and please contact us at socialsciencematrix@berkeley.edu with any questions.